Professor Forrest is the first West Australian based researcher to win the award since its inception. The award was presented at this year’s 37th Annual Lorne Genome Conference in Victoria. The Millennium Science Award is granted to a young researcher who has made outstanding contributions to Australian scientific research. Professor Forrest heads the Systems Biology and Genomics Laboratory at the Perkins and investigates how cells work at a system level. Professor Forrest said he had a long history with the conference, which made the award all the more exciting to win. “Eleven years ago I was at Lorne presenting as a nervous PhD student. It’s great to come back as an ‘academic adult’ and win this award,” Professor Forrest said. 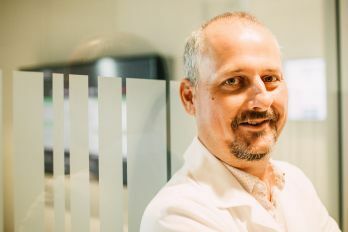 Professor Forrest was recruited to the Institute in 2015 using funds raised from the MACA Ride to Conquer Cancer and a fellowship grant from the Cancer Research Trust. Read more about Professor Alistair Forrest.